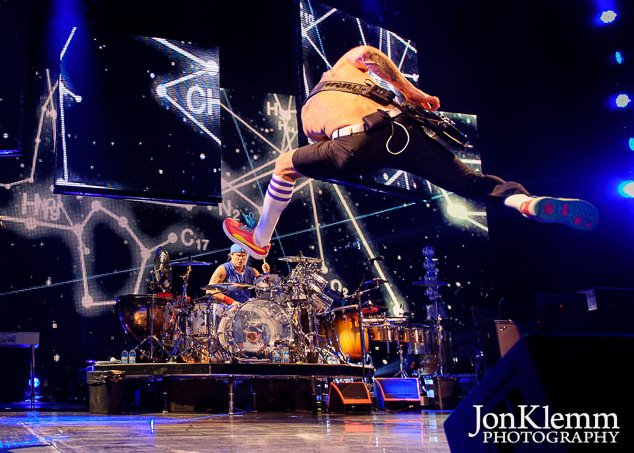 On May 4th, the Red Hot Chili Peppers played Prudential Center in Newark. It happened to be the day that Adam “MCA” Yauch from Beastie Boys lost his battle with cancer. The band dedicated the night’s show to Yauch. Anthony Kiedis paid tribute by wearing a shirt with the letters “MCA” handwritten across the chest. New guitarist Josh Klinghoffer also tipped his hat to MCA by playing the riff to “So What’cha Want” during the show’s encore. The full gallery of photos from the concert can be found here. This entry was posted in Concert Photography and tagged Prudential Center, Red Hot Chili Peppers.